For the 7th consecutive season, Portland, Oregon will be hosting the Dew Tour. Don’t miss out as new events and greater action will be taking over the Rose Quarter. Event dates are August 11th-14th and tickets are on sale now! 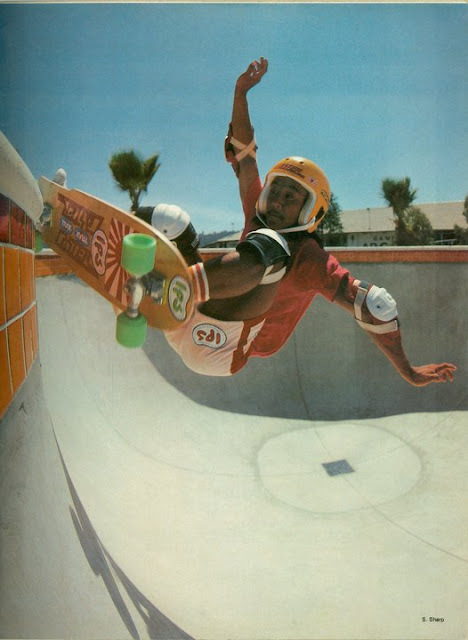 Wally Inouye in 1977 at Anaheim Skatepark. Picture from Russ Howell for SkateBoarder Magazine, April 1977. My guess is those are Bennett Trucks with Road Riders... What do you think? It's only after that spread showed up in SkateBoarder that Wally received a call from Tom Sims. Michael Owen placed first in the Skate Bowl Qualifiers beating out number 2 and 3 finishers Mason Merlino and Willis Kimbel with a score of 80.25. Owens' consistent run saw him blasting back-to-back airs, a one-footed 5-0 grind, and an alley-oop nose grind. He will compete in the Semi-Finals tomorrow. from Warren Bolster. Funny that this pic is also used in a toy-pool sold at Wal-Mart. Truly iconic pic and so stylish. Caballero, Tony Magnusson, Steve Alba & several other masters. 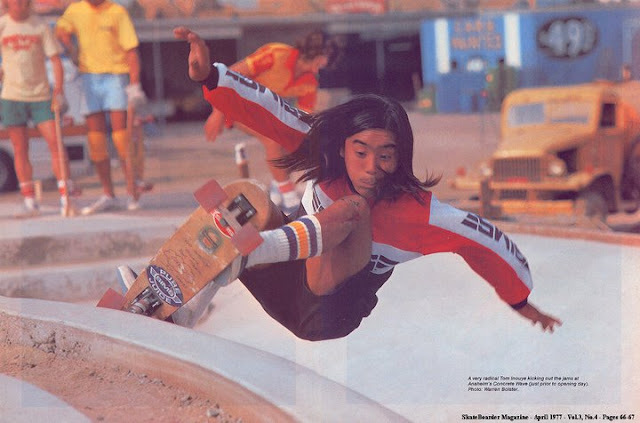 But the big news is the allegedly return of Wally Inouye into the contest skate scene. ﻿Wally got his nickname by being one of the first skaters ever to ride a wall, just when skateboarding was transitioning from clay wheels to urethane is the early 70’s. When Wally was in 7th grade, he was skateboarding at his school on a wall there that was six feet. On a recent Juice Interview he recalls that “It went up three feet, then it went 45 degrees and then it went back up another three feet. We were trying to ride up the wall and get a one-wheeler off the three-foot high part and come down. I was the only kid that did it. So my friends were like, 'Wally! '” After that, everyone at school started calling him 'Wally'. Then, in the 70’s Inouye started IPS (Inouye's Pool Service) and was one of the first pool skaters. "In 1976 we were riding empty pools," said Inouye. "No one knew what all there was to do, so we were having a good time and seeing how far we could push it." "Pushing it" is exactly what led to his signature moves. 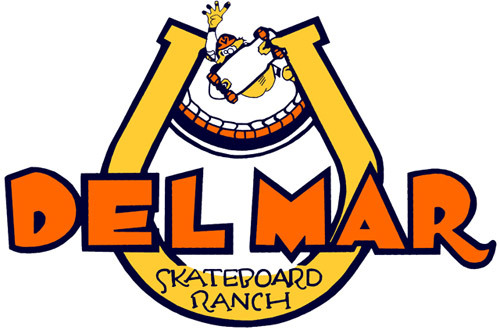 The Ranch was designed by IPS (Inouye’s Pool Service) Tom Inouye, Chris Strople and Curtis Hesselgrave. A "backside air" is a move that involves approaching a vertical wall in a backside manner, grabbing the board as you clear the top, and returning to the wall. In a "wall ride," you ride the board onto a wall and back to the ground.